. 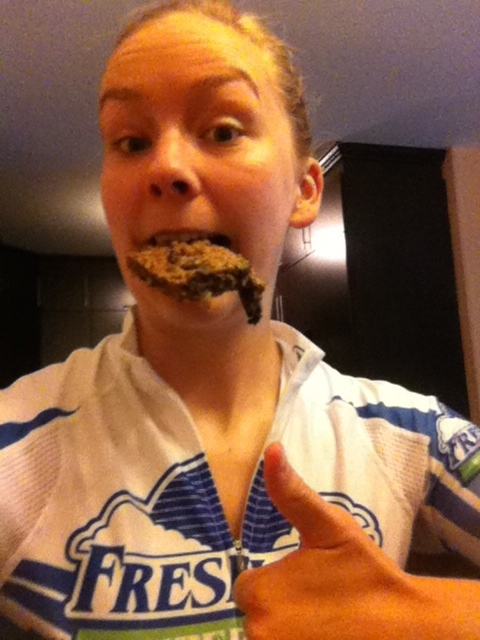 : Katie's Super Energy Protein Power Bars :: Ski XCOttawa.ca :: Skiing in Ottawa and Gatineau Park :. Mix liquid ingredients into dry making sure to combine well. Dump the entire bowl onto the cookie sheet. Place parchment paper on top and pat or roll with rolling pin until flat and firm. It should fill the entire cookie sheet. Bake at 350 for 25 minutes. Once cooked cut into bars. 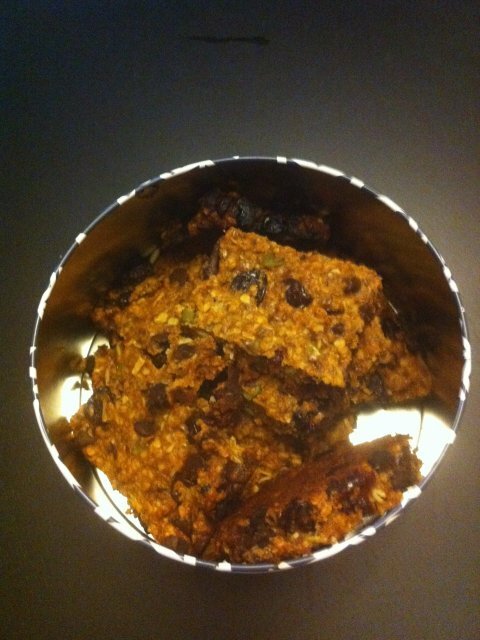 A delicious and nutritious during or pre or post workout snack. I approve! CSM: 2014 Canadian Ski Marathon Workshop Nov 12: Choose Your Own Ski Adventure!